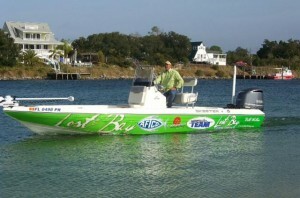 Lost Bay Guide Service is proud to announce we have joined Team Skeeter and look forward 2014. With the new 24′ Skeeter our clients will now have the best possible platform for fishing the beautiful waters here on the panhandle. With a spacious front and back deck, plenty of power, comfortable seating, 10ft Power Pole, Lowrance HDS touch screen electronics, Minn Kota 101lb thrust trolling motor, Trim Tabs, Hydraulic jack plate and a comfortable dry ride it is guaranteed to make yur experience one to remember. Special “Thanks” to Legendary Marine for all of your support! !